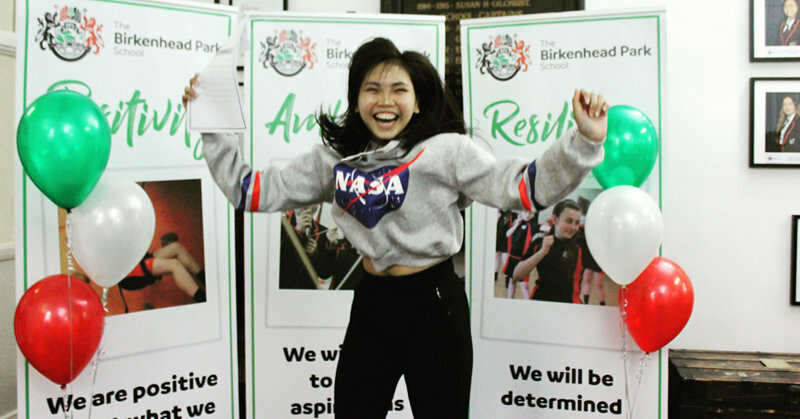 Students at The Birkenhead Park School celebrated the results of their hard work and determination today when they opened their long awaited GCSE results. The Class of 2018 rose to the challenge of the new, more difficult GCSEs and the results were some of the best the school has seen. 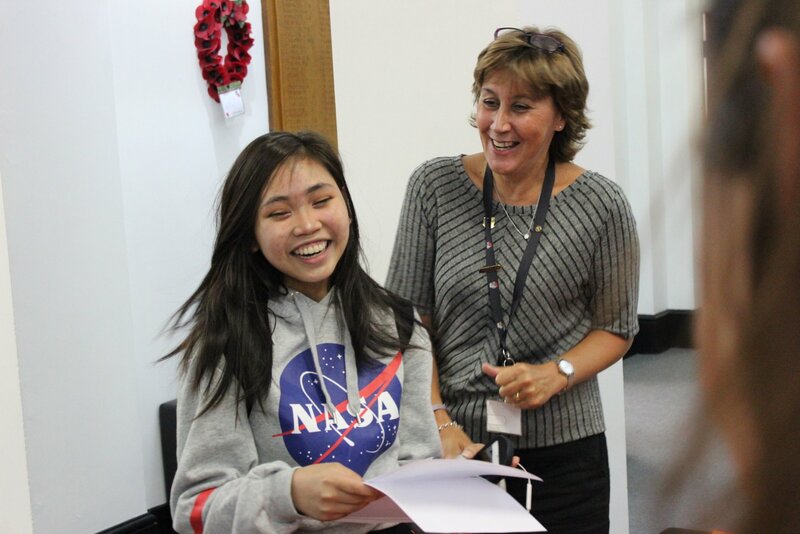 Great success was seen in most subject areas, with standout grades in the core subjects of Maths and English. Head student Guilleary Lucito Deles topped the individual performances with an incredible set of results, including five grade 9s – the maximum achievement in the new GCSE grading system and is recognised as a level above the old A* mark. Students achieving a grade 9 in any subject are considered to be in the top 4% in the country. Guilleary’s success is made all the more remarkable given that she only started school in England less than three years ago, having moved to the UK from the Philippines. Discussing the recent changes in GCSE exams, Guilleary said: “I haven’t lived here for very long so I didn’t know what the previous exams were like, and I was pretty unfamiliar with education here, but these exams, in my opinion, were really hard. 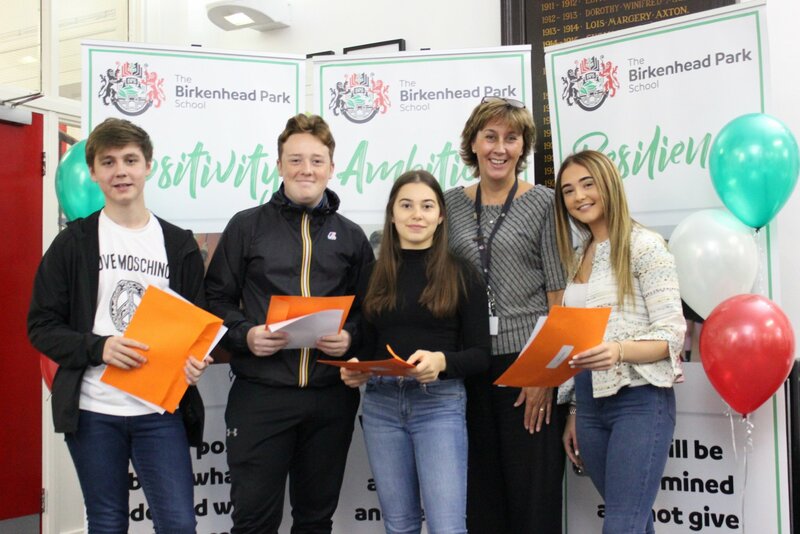 Like Guilleary, the majority of students from The Birkenhead Park School are now planning to continue their academic studies at Birkenhead Sixth Form College where they will study A Levels in preparation for taking up a place at university. Headteacher at The Birkenhead Park School, Mrs Johnson, said: “I am very proud of all of our students and their fantastic achievements. As a year group, they have responded to the challenge of the new-style GCSEs by embracing the school’s values of Positivity, Ambition, Resilience and Thoughtfulness.